Seen here in this photo by Cpl. 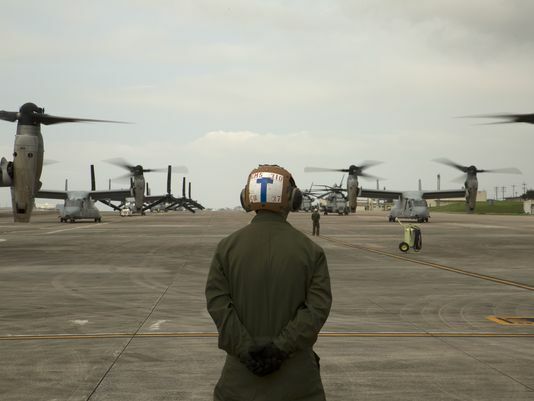 Jessica Collins USMC are V-22 Ospreys of Marine Medium Tiltrotor Squadron 265, 31st Marine Expeditionary Unit preparing to lift off from their base at Futenma Air Station to assist the Japan's SDF in Earthquake Relief efforts. Much like the efforts of Operation Tomodachi in the days following the Tohoku Disaster on 3/11, American Military Units throughout Japan are lending a helping hand to the people stricken by the earthquakes that have hit the area in and around Kumamoto Prefecture. As of late, some 42 people are reported dead from the two powerful earthquakes and some 110,000 people have been forced to evacuate. 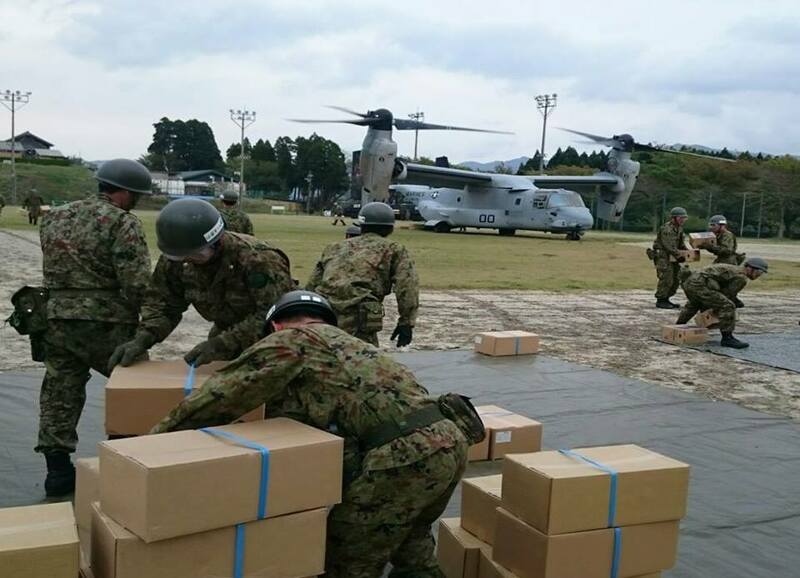 With American help, the SDF will be able to reach villages and other areas inaccessible by roads due to earthquake damage. We at American Mishima will continue to pray for the People affected by this disaster and hope relief comes to them soon.